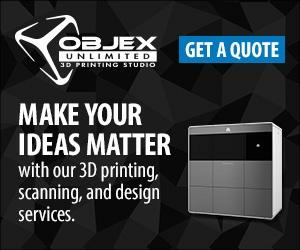 3D Systems most exciting VisiJet material for the MJP family of Professional Printers. VisiJet® M3 Black is a black, durable plastic that looks and feels like injection molded plastic and allows for more rigorous testing and use. The material is well suited for a variety of applications requiring snap fit and strength capability.